Just because it is legal does not mean it is safe in the workplace. 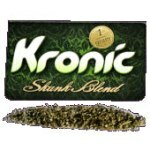 Synthetic cannabis or Kronic as it is widely known as is not illegal in New Zealand. Synthetic Cannabis is herbal mixtures sprayed with ‘psychoactive research chemicals’ and sold as ‘fake weed’ or ‘synthetic marijuana’. The synthetic cannabis can be purchased at the local dairy in NZ for around $15.00 for one cigarette. Because there is a risk of impairment when using herbal highs, most companies’ Drug and Alcohol policies cover off being under the influence of ‘legal highs’ as still being serious misconduct. Kronic and other similar herbals would be in this category. JWH-018 and JWH-073 with an American Laboratory. One of only two labs in the world set up to run this test at present. The estimated turnaround time for the service is super quick considering the sample is travelling half way around the world. It only takes between 48 – 72 hours from receipt of the specimen at the lab to get a result. It is important for employers to remember regarding drugs and alcohol in the workplace that just because something is legal in the eyes of the law does not necessarily make it acceptable in the workplace. For example, an employee caught in the workplace under the influence of alcohol but with a breath-alcohol level below the ‘drink driving’ limits set by law may still be subjected to disciplinary action for serious misconduct because any alcohol impairment in a safety sensitive area can be a significant hazard. The same goes for Kronic. Just because it is legal to sell it over the counter in New Zealand does not mean being under the influence of it is acceptable in the workplace. New Zealand employers need to be sure that their drug and alcohol policies are including synthetic cannabis products in their list of substances banned in the workplace.